What an inspirational weekend it was for me. I learned about what constitutes adventure travel and having an adventurous spirit. 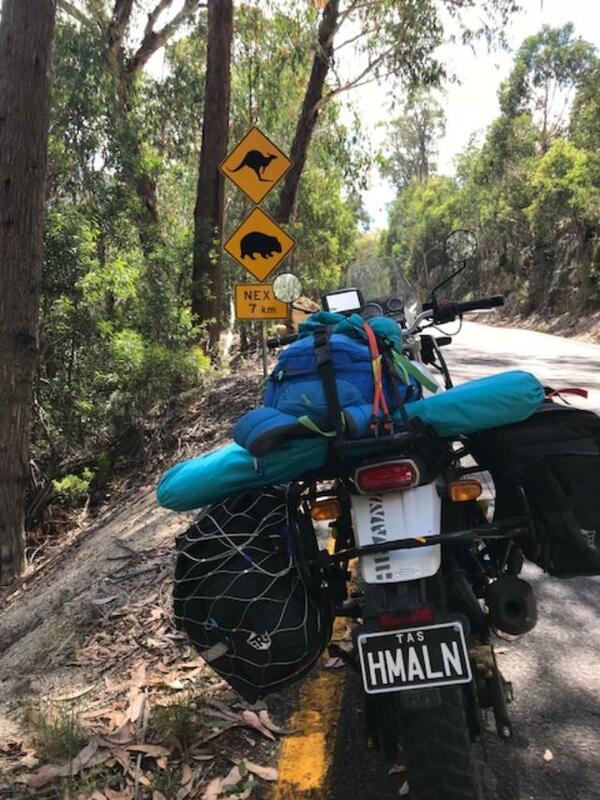 Dave rode up from Melbourne on his black Himalayan (refer to challenge letter W), Dr Rob (refer challenge letter C) flew from Hobart and hired a Bonnie for the weekend, whilst Toni flew from Perth and hired a Harley. Chrissie came in the tin top with the billy lids. Heather Ellis wrote UBUNTU, after 18 months of bike riding in Africa in the early 1990's. Inspirational to say the least. I really enjoyed her presentation. She and Sarah Taylor both spoke very enthusiastically about the highs and lows of their adventure travels. Jeanette and Dermot Meaney spoke of their 4 month cycle trip across Europe, north to south. They were honest in their delivery and spoke of the highs and lows they experienced on this trip. A lovely young French girl told us of her opportunity to break in three brumbies and ride the full length of the BiCentennial Horse Trail with them. This journey took 13 months and was not without its problems. Her epic journey does however has a very happy ending. After listening to these presenters and others, I soon realised that I have packed way too much gear on my bike, this was meant to be a practice ride for me and the gear. Soon as I got back to Melb I upended the panniers and now they are only half full!! Much easier to pop the bike up on the centre stand. We finished the weekend with a quick ride up Mt Buffalo before we all headed back to our respective homes. You can see how rediculously overloaded my panniers were.